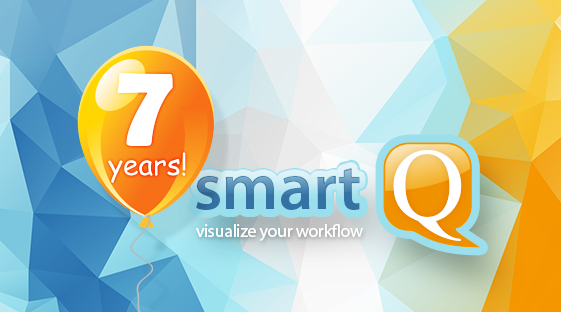 Today we are celebrating our 7th anniversary! For over seven years now, we have been helping a wide range of organizations from small local businesses to big companies around the world to manage their workload. We will continue building smartQ as an easy to use and powerful platform for workflow management! We would like to thank all our clients for their support! You can find us on Facebook, Twitter, Google+.